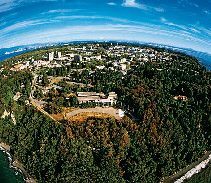 UBC's UTown Community Energy and Emissions Plan - Farallon Consultants Ltd. 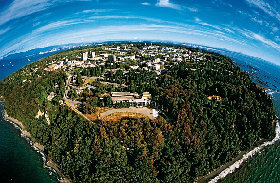 In 2012, Farallon was engaged by the Sustainability Solutions Group to provide industrial ecology options as part of the development of UBC’s Community Energy and Emissions Plan for UTown, the residential community of the Vancouver campus. Farallon developed the concept of a UBC Biomethane Energy Research Centre which would reduce greenhouse gas emissions by a minimum of 23,000 tonnes per year and a maximum of 130,000 tonnes per year for a larger-scale system. At the larger scale, all greenhouse gas emissions from UBC operations would be offset to zero. The concept would also cost less than the business-as-usual fossil fuel option, and would result in local jobs and other environmental and social benefits.